Ragini shut her eyes close and fisted her palms when she heard people saying such things about her sister. Sanskaar said even before Ragini would end up getting emotionally blackmailed. Before Ragini could even complete her statement, Sanskaar did something really shocking. Ragini’s mouth flew open in shock, while she just stared at Sanskaar who had picked her up bridal style. With that, Sanskaar gently set Ragini down as he held her hand and took the last three rounds around the sacred fire. He then went on ahead and tied the ‘mangalsutra’ around her neck and proceeded to fill vermilion in her hairline. “Ragini is now officially a bahu of the Maheshwari family, I couldn’t be happier!”–Sujata exclaimed in joy, while everyone else practically glared at her. Ragini was done with everyone just blaming Swara and finally said it. So, when Swara walked in with a bandaid on her forehead, everyone believed Ragini. They believed that Ragini would actually try to kill her sister. 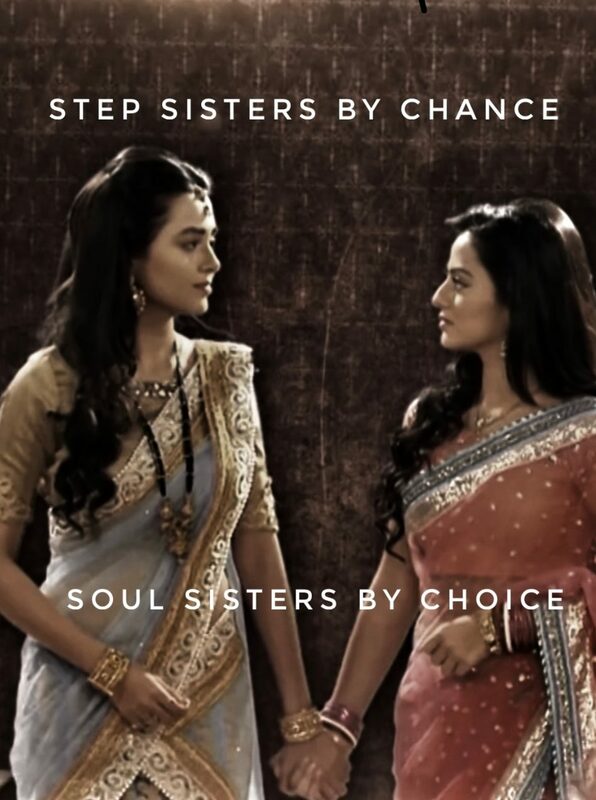 ‘Why are you here Swara?’, Ragini thought as she stepped in even before Swara could say anything about what happened. Swara said as she sobbed while looking at Ragini. Ragini looked at her and turned her face away to try and contain her sobs. Meanwhile, Lakshya looked at her broken-hearted and angry. Swara gave Ragini a determined look as her parents smothered her. Ragini looked away, but Swara noticed the red looking thing in the partition of her hair. Vermilion? Swara slowly pushed everyone away from her as she looked at Lakshya. Lakshya seemed to have noticed her gaze and stopped glaring at Ragini. Swara’s eyes kept shifting to Ragini and Sanskaar and back to Lakshya. Before Swara could say anything else, the entire family started bad mouthing Ragini and spoke of kicking her out. Swara said, trying to put an end to their discussion. Ragini looked at Swara with wide eyes and nodded her head in disbelief. Ragini said trying to get Swara to back off from the decision she just made. Lakshya had finally had enough of Ragini’s nonsense and was about to slap her, when two hands stopped him. His brother and his love. Sanskaar and Swara looked at each other and gave each other this look of appreciation, grateful in a way that the other had their back and pushed Lakshya’s hand away. Sanskaar held onto Ragini’s hand and gave everyone a piece of his mind. His mother screeched, wanting Ragini’s ‘evil’ self to be- far, far away from her child. The only person who hadn’t said anything so far, was Sanskaar’s father. He seemed to know something others didn’t. Swara said as she looked at her so called family who didn’t hesitate to disown her sister with anger. Ragini knew that Swara’s question wasn’t hypothetical. She knew her sister. She knew that her sister wasn’t just having second thoughts, but she was questioning her entire relationship with Lakshya. Perhaps the only reason the two fell for him was because they cared about each other so much, that the person who actually helped them become one, meant a lot to them. Ragini’s answer wasn’t just words that were thrown in the air. She meant each and every single word. Her sister had just gotten a family, she wasn’t going sit and watch as it was snatched from her just because she wanted to make a choice of her own, especially when it was concerning her future. SwaRagini turned to look at Sanskaar who just joined their conversation. Sanskaar stood next to Ragini, and spoke as if he had never been more sure of something in his entire life. How was this? Too unreasonable? Well, I still think it’s better than Ragini being evil.